Believe it or not and admit it or not, we all have been a part of Stan Lee’s legacy. Most of us have seen a majority of his creations which were brought into the reel screen. He created 362 various cartoon characters which were a combination of superheroes and supervillains. 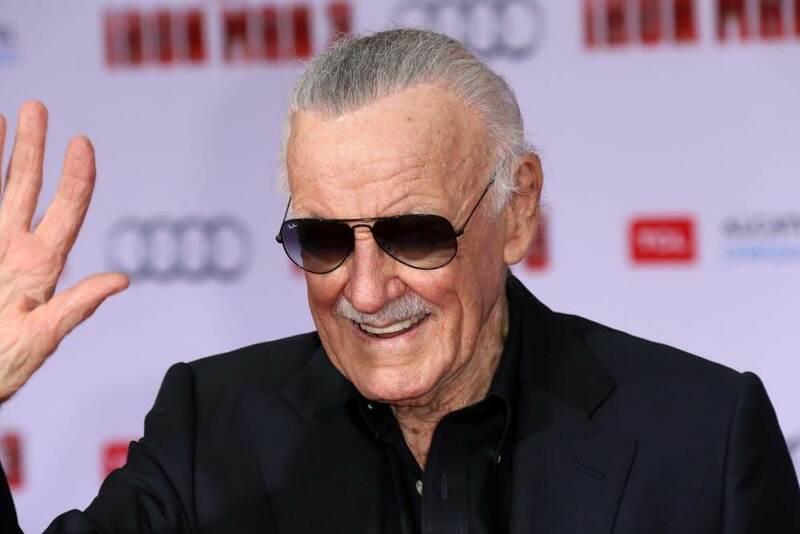 Stan Lee started living his life from 28 December 1922 at New York, New York until his final moments at Los Angeles, California on 12 November 2018 at the age of 95. He created a spectacular world where fans can relax, enjoy, mesmerized, and even escape the stress in life even for a transient moment. Did you know that before becoming a writer in the comics world, Stan Lee was a former soldier in the US Army Training Film Division wherein he was classified as a “playwright” along with other eight individuals? They were a group of nine soldiers who were classified as such in the US military world. Some of those who belonged to this group who were also called the Signal Corps Training Film Division included the multi-awarded Pulitzer Prize Armenian-American writer William Saroyan, “The Addams Family” creator Charles Addams, movie director Frank Capra, Theodor Geisel who created the famous children character “Dr. Seuss“, and TV writers Ben Roberts and Ivan Goff. Their group was assigned to training films, creating slogans, writing manuals, and essential cartoons. The lifestyles of those who have known him were changed especially in the arrival of high technology wherein movies were created with special effects. Marvel movies were made to the amazement of its audiences from kids to adults. Actors and actresses who became superheroes in the movies from Fantastic Four to Spider-Man to Avengers and other Marvel Comics characters and even X-Men franchise were all thankful to Stan Lee because of the different fame such characters brought in their lives. He was more famous than the first artists he collaborated with including Jack Kirby and Steve Ditko wherein they were able to create unforgettable comics characters such as the crawling Spider-Man, the bulky green Hulk, the mysterious Doctor Strange, the magnificent team of Fantastic Four, the unbelievable sight challenged Daredevil, and the amazing team of mutant heroes called the X-Men. 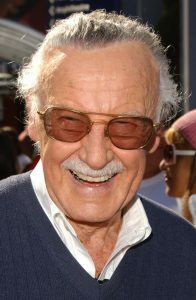 From the movies and television shows, Stan Lee’s various collection of comic superheroes and supervillains were watched and have been awed because of their powers. Some fans even have cheated with their spouses, cheating in a sense that either the husband or the wife watched the TV series alone and ahead of their spouses thereby cheating them into thinking that they have not watched an episode yet. The lifestyle of some fans have changed too from being a comics lover and now turning into a binge television watcher. Comics have been famous during the 1960s due to the arrival of Marvel characters created by Stan Lee. Now, with the advent of technology, comics are almost forgotten but the ideas behind those comics continue to live on. They are now turned into television and movie characters. Addiction to comics is now replaced by addiction to watching TV series brought by streaming online media companies such as Netflix, YouTube, Amazon, and other companies offering streaming media systems. Binge-watching which is also known as binge-viewing or marathon-viewing became wherein episodes of television shows are watched in continuous succession, typically, in one seating. Stan Lee, who was considered Marvel’s superhero, was a recipient of the 2018 National Medal of Arts. He received his Hollywood Walk of Fame in 2011. Along with Jack Kirby, they were named Disney Legends on 14 July 2017. He also had his hands, feet, and signature imprinted in cement during the D23 Disney Legends event on 18 July 2017 at the TCL Chinese Theatre on Hollywood Boulevard. 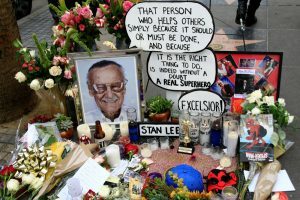 Stan Lee Day was also commemorated when it was declared on 2 October 2009 at the City of Long Beach and the County of Los Angeles. Indeed, it is truly right to remember the man who created the most famous line, “With great power comes great responsibility,” from one of his famous cartoon characters. Unknown to some people, he also became a DC comics writer, and he has been a long friend of Carmine Infantino, who became the president of Marvel’s chief competitor in the comics industry. He did write several series on a limited edition series of DC Comics which were titled “Just Imagine” wherein he recreated some of the famous superheroes of DC Comics including Superman, Batman, Catwoman, and even Wonder Woman. It was aptly titled as such so that fans can just imagine how these characters were from the point of view of Stan Lee. The world will never be the same again since there will only be one Stan Lee that had truly amazed everyone who was lost in the world he created, The Marvel Cinematic Universe, wherein he was also a famous character. Famously seen by those who knew his face especially for his fans, knowing that in every Marvel movie, he will have a cameo appearance. Stan Lee whose real name is Stanley Martin Lieber was truly a legend. A legend who changed our lifestyle mainly because of the vast collection of the cartoon characters he created and others were collaborations with other artists. He had a brilliant mind since he left a legacy which if it will be seen in the future by the soon-to-be old millennials, they will still be amazed about it. He was brilliant because he created so many characters that imprinted in our lives some values including courage and confidence. These characters also vindicated that life has its ups and downs; that family does not need to be always a blood-related; that you are your own self and you are not your parent; that making decisions involves doing right and in the middle of doing so, we can commit mistakes but this does not mean that we are already a bad person; that suffering from abuses are not meant to discourage us, instead it should make us strong; that asking for help from someone is not a shameful thing to do; and of course, all of us have their own demons inside of us. He would be remembered by most New Yorkers due to his trademark motto which is “Excelsior!” which was also the motto of the State of New York. This is a meaningful remark which can be defined as “onward and upward to greater glory.” Indeed, moving forward, the world will remember him as the greatest creator of superheroes who temporarily relieved most of us from the stress of our lives.